Weathering the heat storm we call summer can be a steamy and exhaustion-inducing feat. Let a breezy, eco-friendly sun hat be your first line of defense against the rising mercury and relentless ultraviolet rays. Above, a flamingo-hued narrow-brim fedora (£59) by Pachacuti, which recently took home the Observer Ethical Award for fashion. Protect your noggin with a lightweight, eco-friendly hat that shades you from that mass of incandescent gas above. Thanks to wedding revelers across the pond, headwear has never been hotter, but they can certainly keep things cool when your internal thermometer nears boiling point. 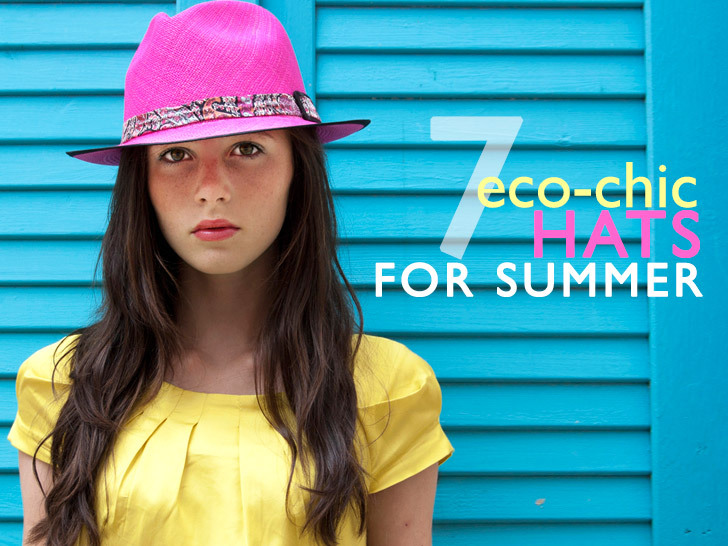 A tip of our floppy, wide-brimmed hats to these seven fabulous toppers, ethically made from sustainable materials (seagrass, straw, organic cotton) to ward off the summertime swelter at the beach, in the garden, or the street. * (V) denotes vegan-friendly options. Love this! Thanks for the vegan-friendly options and for the links! Goorin Bros. has been making hats by hand for four generations. Its floppy Eden hat is a chic twist on a timeless classic, with an extra-wide brim that commands attention on the street or at a polo match. Made with paper straw, it's also offered in bright turquoise. Brooklyn-based millinery artist Tracy Watts is a headgear icon who counts celebrities such as Heidi Klum and Mary J. Blige among her fans. Crafted from glazed Japanese straw, her flexible Side Car hat can be folded in half and secured with a leather strap. Katharine Hepburn would approve. 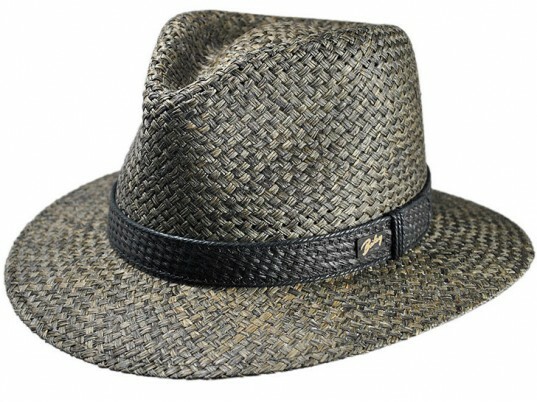 Bailey's Palmer fedora is woven with an unexpected material from the watery depths: 100 percent seagrass. Manufactured in the United States, the crisp chapeau boasts a wider brim for an extra edge against the sun. Pendleton's lightweight straw trilby is just the topper for lounging in the park. A family-owned business for over 140 years, Pendleton breathes quality into its collections. The straw cap's warm, neutral tones and classic narrow brim are testament of the label's eye for aesthetically driven utility. Lina Rennell's organic-cotton bucket hat has effortless cool in the bag. Pair it with your favorite sundress for a Sunday in the park or throw it on with your business attire for a savvy take on casual Fridays. Handmade with vintage fabric from the '70s, Moaning Minnie's sun hat features an adorable floral print and a shape that will shield your face without sacrificing style. Take it on your next boating adventure for an extra punch of flair.